What is your favorite aspect about your AmeriCorps VISTA position? I work at WestCare’s Women & Children’s Campus, which has several different programs for women and teens struggling with addiction, substance abuse, and other issues. I really appreciate the passion and dedication staff has for helping the clients get to a better place in their lives. What’s one reason you think people should volunteer with the organization where you’re serving?WestCare is all about community. This place wouldn’t exist without community partners and relationships. What project or event are you really looking forward to this year? I’m looking forward to getting to know more clients and being a part of their journey while they’re here. What are your first impressions of the Las Vegas community? Have you had any surprises? Vegas is a place unlike any other. I imagined life outside of the strip would be more…normal. I can’t quite explain what I was expecting normal to be, but the image definitely didn’t include slot machines at corner markets and gas stations far away from the strip. I’m from the Midwest – most legal gambling is only found on waterways! What is something you want people who don’t live in Las Vegas to know about this community? Bright lights and big fancy shows are great and there’s a place for that, but I prefer stuff off the strip. Explore Fremont/Downtown for a good mix of touristy and local stuff. I moved here about a month and a half ago from a north suburb of Chicago to serve a year as an AmeriCorps Vista. Previously, I had been to Vegas once before to visit with a close friend of mine who was born and raised in this town. He has never hesitated to tell me about the less glamorous things in the area. Therefore, I had no delusions of Vegas being solely about the flashy lights and gambling riches. I was expecting to see people in need – I just didn’t expect so many. The juxtaposition of those with excess and those in need greatly intrigue me. On September 25th, WestCare celebrated a graduation of 95 clients who completed their program. It was one of the biggest graduating classes they’ve had in a while. While I didn’t know most of the clients too well, I felt honored to be in that audience – to share in their celebration. It’s not easy to overcome addiction, but it can be done with great determination, hard work, and perseverance. The graduates recognize that completing the program doesn’t mean there aren’t any struggles ahead, but the ceremony was a chance for many of them to recognize how far they’ve bounced back from hitting rock bottom. The staff at WestCare has some of the most compassionate and dedicated people I’ve met. I look forward to continue working with them. 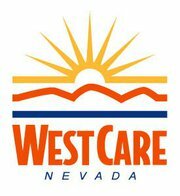 For more information about WestCare or its services, please call (702) 385-2020 or visit: www.westcare.com. This is the first in a series profiling the 14 AmeriCorps VISTAs serving in Southern Nevada during the 2012-13 year. For more information on AmeriCorps VISTA and national service opportunties in Southern Nevada, click here.